Ormond Beach is found in Volusia County and has a population of about 39,000 residents. The city is found just to the north of Daytona Beach and provides a place for millions of visitors every single year. With the very popular events that happen in Daytona Beach every year, Ormond Beach becomes a place for many visitors to stay. The larger population of Volusia County, along with the many visitors coming for huge annual events can make the roads rather crowded. It also brings a variety of vehicles, along with many different driving styles to the area. Not only do visitors come from out of state for events, but they also come from Orlando and other areas of Florida to enjoy the beach and Tomoka State Park. Huge events, such as the Daytona 500, Coke Zero 400, Speedweeks, Biketoberfest, 24 Hours of Daytona and many more bring millions of visitors to the area every year. Ormond Beach is found just north of Daytona Beach, which means it received the overflow of visitors and many pass through to get to Daytona Beach. Interstate 95 passes directly through Ormond Beach carrying about 186,000 vehicles daily. I-95 is known as the most deadly highway in the county when it comes to the portion in Florida. About 6,500 traffic crashes happen yearly in Volusia County with about 5,000 injuries and 125 fatalities as a result. Traffic accidents in Volusia County and Ormond Beach are on the rise. Can you imagine how high the numbers would be if the Ormond Beach police and other authorities didn’t' monitor the roads and hand out tickets? More than 37,000 traffic tickets were given to drivers breaking the law in Volusia County for 2015. Over 13,200 drivers were caught speeding with another 4,445 caught driving carelessly. If you think you're going to get out of your ticket, you may want to rethink that strategy. Only 13% of the issued tickets were dismissed by a judge in 2015 for Volusia County. 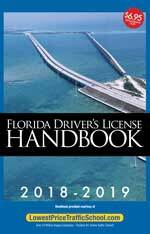 Every traffic ticket issued in Florida comes with points, which attach to your driver's license. Get too many points and you will have your license suspended. Receive 12 points over a one-year period and you will lose your license for 30 days. Receive 18 points over 1.5 years and you will deal with a 90-day suspension. Receive 24 points in 3 years and you will have to face a one-year license suspension. Driving is a privilege in Florida and can be revoked at any time. With traffic tickets ranging from 3 to 6 points, depending on the severity of the offense, it's not hard to rack up enough points for a suspension rather quickly. 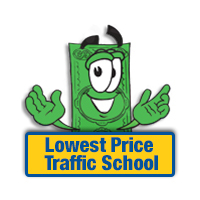 Traffic school allows you to keep the points from a recent ticket off your license. Not only will this help to keep you from a suspension, but it will also keep your insurance rates from going up. After you pay your fine for the ticket, you need to let the clerk of the court know you will use the traffic school option. Then, enroll online and take the basic driver improvement course. You will be issued a certificate of completion, which you need to turn into the clerk of the court. That's all it takes to keep your driver's license clean. Eligibility requirements for traffic school in Florida are very straight-forward. You get to take the class a total of 5 times over your lifetime and once per 12 months. If you haven't taken the basic driver improvement course five times or in the past 12 months, you're eligible for traffic school. All traffic tickets issued in Ormond Beach, Florida will be processed by the Volusia County Clerk of the Court. The clerk of the court will take your payment and your certificate of completion from traffic school. Get more information about the Volusia County Clerk of the Court by visiting their website.